According to Entertainment Weekly, ABC’s primetime supernatural soap took a 19 percent dip in its second episode. 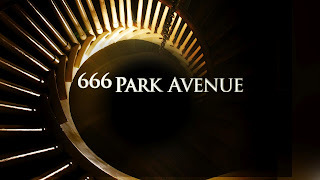 All of ABC's drama block took a hit last night, but none more so than 666. Then again, reports EW, CBS’ 10 p.m. rival for 666, The Mentalist (8.7 million, 1.6), potentially dropped even more than the ABC show, but these CBS numbers are all slightly off kilter in these preliminary ratings due to football overrun early in the evening." Think this a sign of things to come, or just an unsteady sophomore week?